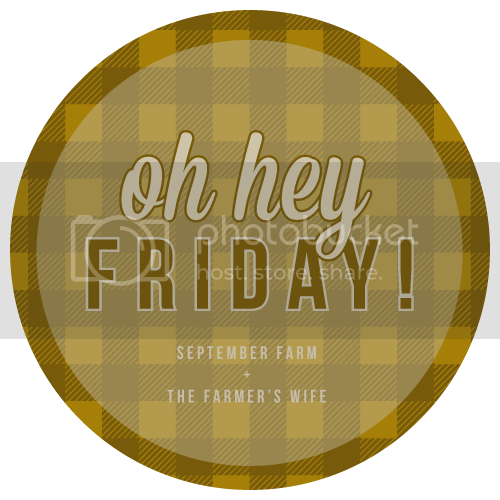 Happy first Friday of fall!! 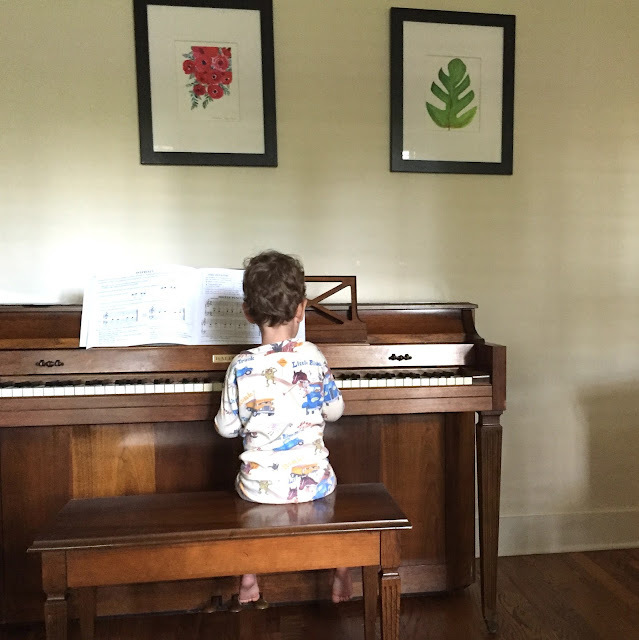 Piano + Pajams... be still my heart. This sweet guy seriously came out of me eighty years old. 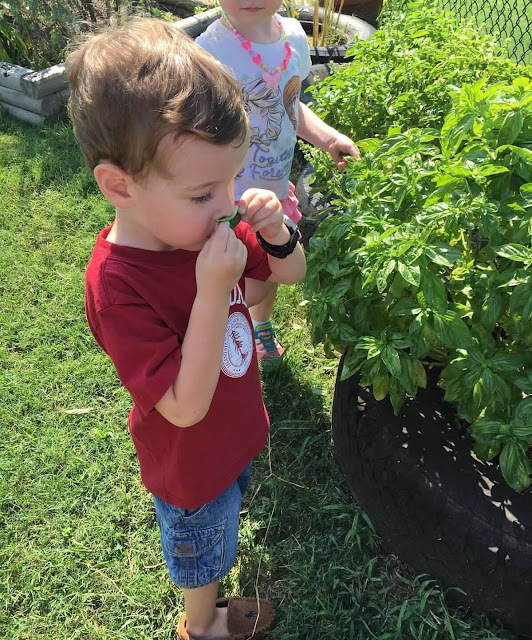 The photo below is of Parker at preschool (I love that the teachers take pictures), picking some basil for me from the garden and sniffing it of course. You can see from the attire that the weather has not gotten the memo that it's fall. 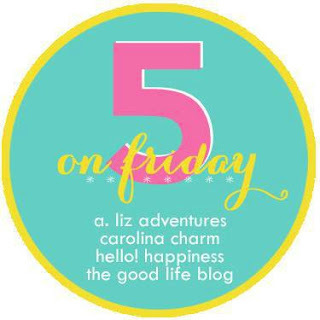 Husby and I enjoyed a date night this week! The Junior League was hosting Barbecue Blues & Brews - my first big JL event of my provisional year :) It's such a luxury to eat a meal without also cutting up a little person's food and prompting that little one to take bites every other minute - I got to just relax and talk with my sweet, handsome oh-so intelligent husband. Not that we didn't miss the Sweet P terribly - and in fact, even though Parker was in bed when we got home, he hadn't fallen asleep so he heard us come in and tiptoed to the top of the stairs calling out: Whooooo's home from their daaaaaate?? I finished my latest library score, The Nest . I originally put it on hold back in March, and finally got my hands on it last week (having a library card will teach you patience, y'all). Anyway, since March I've read some just so-so reviews on the book so my expectations had dropped significantly. I think because of that, I was pleasantly surprised. The book centered on a group of dysfunctional siblings set to come into their trust fund inheritance. It was somehow slow without much action, yet I always wanted to know more and had to keep reading - which I feel is one of the markers of a good book. Overall I really enjoyed it, despite the fact it kind of felt like a bowl of molasses. My mom sent the above text to me and my sisters - too cute, no? Anyone else out there about to watch Hocus Pocus?? The first day of fall had me reminiscing about Parker's first fall ever! 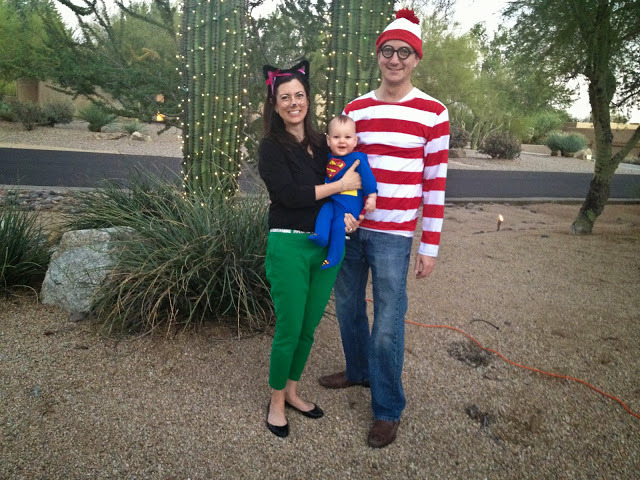 This was Halloween in Scottsdale, 2013... I just can't believe all that's changed since then! I just scored a must read book from the library too! I can't even tell you how long I had been waiting for it so yes... library membership teaches you so much about waiting your turn. I'm in JL in our town too! So fun that you all were able to sneak in a date night. 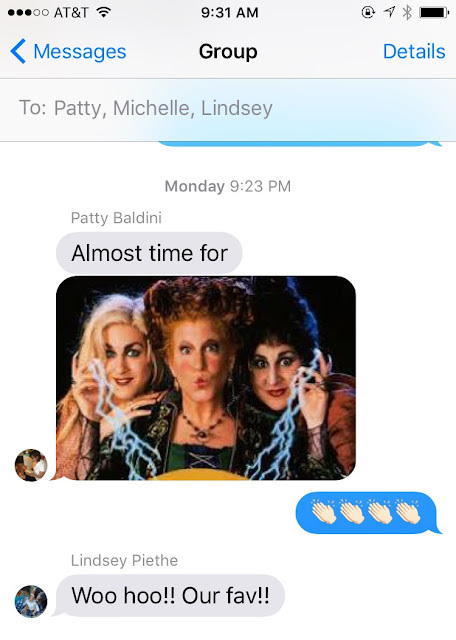 We love Hocus Pocus! It's our go-to movie we watch on Halloween each year! Oh my goodness! I love your first fall photo and so cute about Parker when you came back from your date! Happy fall! I'm so glad to hear that you like The Nest. I just started it, and I'm not very impressed. I'm only 2 chapters in, so I'm not giving up on it yet! Hopefully it'll start picking up a bit! 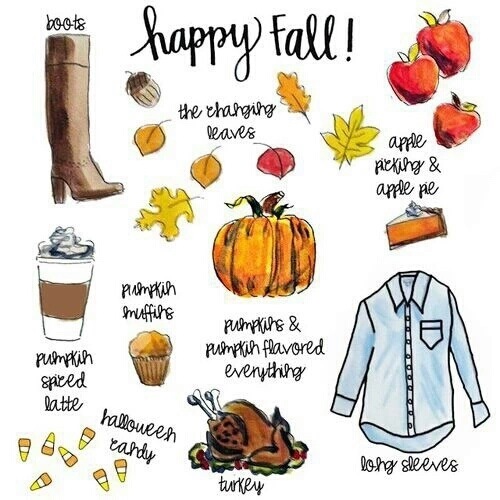 Love everything fall :) And I can't wait for Hocus Pocus as well- it just marks the start of Halloween!! They are few and far between! Finally feeling like fall this morning here - yessss! That piano picture is too cute! I love that piano/pajama picture! So sweet.